JimmyJane – high grade adult toys for every adult. 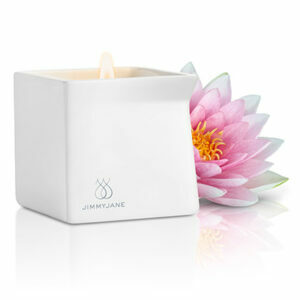 JimmyJane as a brand was launched in 2004. The range features award winning products known for both their high standards and clever designs. With sophisticated features and using the latest technologies JimmyJane challenges the supremacy of the world’s top brands in adult toys. JimmyJane products are made from high grade body safe silicone. The Form range comes with a 3 year warranty, whilst other products carry a full 1 year warranty. The stylish design make them perfect for either solo use, or to be introduced into the bedroom during couple’s intimate moments. For the best in external pleasure try the great Form 2 with its two vibrating arms. The Form 2 is more than just a clitoral stimulator and ideal for couples play. Or for the more indulgent the Form 6 will satisfy both with size and its two usable ends. Couple any of these with the award winning Hello Touch featuring vibe finger pads that will make any massage something special. Whatever you choose this range will deliver.